StarEquine, a group for everyone who love horses! 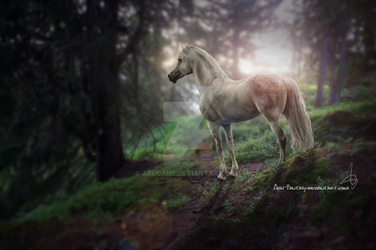 We accept horse-related paintings, drawings, photomanipulations, stock, tutorials and lots more! * Join by clicking "Join the Group" above this blog page. Yes, you can. Feel free to suggest them! You can submit artwork when you're a member or a contributor. Click "Gallery," and then click "Submit to this Gallery" or click the "+ sign on the title of the folder you wish to submit your work to. If it's not the correct theme your deviation will be declined. Try to limit your submissions to 5 a day. Can I invite my friends into this group? Yes, you can. A member can and a contributor can. Click on "Invite" at the top of the page, and type in your friend's name! Only contributors can! When you're a member and you want to be a contributor, tell us and we upgrade you! If you have a group and you want to affiliate with us, then please send us a comment, we will accept. Contributors have the right to submit up to 10 deviations a week. When you're a contributor you can also vote on who comes in to the group. You can apply to the group as a contributor and most of the time we'll accept you. If we don't, it doesn't mean you're a bad artist! It only mean you can improve. Please do NOT re-apply over and over, that's really annoying, you can try again if you think you've improved yourself. Anyone can become a member and participate without posting art. You can, as a member, suggest favs and submit your own, and other's work. Members have the right to submit up to 7 deviations a week. You'll keep informed of the latest news and submissions. Are you a member and you want to be a contributor? Tell us and we upgrade you! We'll accept submission everyday and when you submit, try to limit them to 2-3 at week, so this won't flood the watchers' inbox. You can submit all kind of horse arts, that means digital, traditional, photography, sculptures/artisan crafts and animations. Only artwork you're proud of! Try to submit your best and finished pieces! The artwork has to be yours. We do not accept adoptables/auctions/advertisements/personal journals! Our group's contributors have become less and less, thus we are looking forward to meet new ambitious people willing to take over some of the group's responsibility. On average we're looking for a person that's active almost daily at least 1 hour. Contributors have the right to submit up to 10 deviations a week. When you're a contributor you can also vote on who comes in to the group. You can also participate in discussions involving the group's positive growth. Nonetheless you can suggest ideas that could improve the group and help our fellow members. this month we have interviewed Ruanly! StarEquine :What got you started at art? Ruanly: Many years ago, I was a member on Unbridled, just your average young teen roleplaying on a big, popular site. The main admin, Pie (goes by katiecatapillar on here), did all of the site art and had these magical, beautiful logos. It was every member's dream to have her do art of their character, and getting yours as the logo? Now that was huge. As luck had it, I landed a high enough IC position in one of the later site versions to get my character as the banner, so I knew the honor and became even more obsessed with her art for it. I think that's where the seed first got planted. What really watered it, though, was Mourgebeast. Something like 8 years ago, she ran Wayward Designs, a proboards forum where you could make and fill art requests (amongst many other things). Back then, it was a really popular idea and WD was very big, always bustling. Drive to one day do what Mourge did, what all those great artists did for the requesters, was what made me get my first program: Paint Shop Pro. It was so bad and I could barely get anything to work in it, granted I doubt I would've done better with Photoshop at that age, either. StarEquine: When did you start taking art seriously? Ruanly I distinctly remember cutting out this black, rearing horse and pasting it on an Old Western-styled "Wanted" poster as my first manip of my then-character Twilight Haze. We are talking... horrible. xD I've tried in vain to find it again for reminiscing's sake; it's lost on some old desktop with a screen heavier than me that sang a lot of AOL dial-up in its time. I was so bad at art (who isn't at the start?) that I never took it seriously or pursued it very much, but I also never stopped wanting to be good at it. It just felt like an unattainable dream. I couldn't even imagine being "talented" at it; my drawings were stick figures (still are), my manips were copy-pastes, and tutorials went over my head. It was like how everyone wants to be a millionaire--of course you want to be one but it's not like you actually think it'll happen, no matter how much you fantasize, right? Several more years passed and my desire grew until I decided to act on it, even though it still felt impossible, and I got a pirated version of Photoshop (back when it was relatively easy to do so) and a really cheap tablet from eBay. I didn't think it would be possible to do decent art without those tools, though I will say that I've done plenty of good art with my laptop's touchpad since then and I've seen magnificent artists who use GIMP and a mouse. omgitshaylay, who was the awesome member Eris on my site Metaphysical, walked me through my first real, true manip about 4 years ago through a joinme. Literally did a play-by-play, put-this-here-and-that-there walkthrough. Without her, I'm not sure I ever would've started taking art seriously, so I owe her a lot. We did a piece of my OC Viranchi together, and though the hair looked like worms, the markings were stark white with harsh edges, and the horse wasn't even kind of grounded, it gave me the confidence I needed to push myself and it gave me a budding familiarity with Photoshop. At that point, I started doing art regularly and improving with each piece, always using it as a lesson. I've hit several plateaus, gone months without touching my tablet, discarded piles of unfinished pieces, and gotten more wrist-cramps than I can count, but in the end, art has become an insanely important part of my life and I am so grateful to the people who helped me get to where I am. I used to number my manips so I knew how many I'd ever done, and while I lost the practice a while ago, I know it's only around maybe 50 pieces, but each one of those taught me a lot. I'm a very slow artist, taking weeks or months to do a single manip, and each one takes me approximately 30 hours (the longest piece taking me 120 hours, my first-ever commission from the now-named elkayell). My goal is to continue fleshing out my style and, hopefully, learning how to do the whole thing faster. To anyone who feels their dream is unobtainable or that it's some sort of you're-born-with-it-talent, it's not. I know every artist says that, trust me, but I'm still going to say it, too, because it's so dang true. If you hand me a pen and paper, I still can only draw stick figures, because I am not talented; I am skilled. And I have honed the skill of photomanipulation specifically, for 4 years and 50 pieces, and gotten to a place I once saw in logos and fell in love with. So I hope someone else out there who doubts their ability sees that time, patience, and maybe the right guides can accomplish their goals, too. These deviations are handpicked to showcase some of the pieces from each gallery category! thanks for sending me the invitation to become a contributor! i really appreciate this! I would love if you guys would feature my journal, I've made a fun little deal-e-oh for the equine artist community. More entry's would be great! More entry's = more fun! Equine Artist | Interpretation Fun | Entry/OpeningIt has come to my attention that my "a cool idea for equine artists?" journal has had quite a bit of positive feedback. So, therefor, I will be hosting this little deal-e-oh and everyone in the Equine Artists community (or those who create equine art) are welcome to join in on the fun. This is in no way a contest, just a little fun thing to host for the community. - This whole "Interpretation Fun" is really all for fun. It's all about seeing how artists take a piece of simple information and interpret it/make it into a manipulation of their own. - Giving out a piece of information such as "Black horse, crazy, psycho, killer" to 2-4 artists, they get to make something out of this information they are given and then when each piece is uploaded, we all get to see how everyone interprets something differently. Hello! Would my adorable little horse bum ornaments qualify me to join the page please? I'm sorry to say I'll be leaving this group. Your new submission rules are so terribly complex and nitpicky that I'm too terrified to try submitting here now! I understand that you get a lot of submissions, but to call out particular deviations that you consider "not up to your standards" is particularly cruel specially if the person who made it is just starting out in the art world. It comes across as very cold and not a community I'd like to be part of. Also to decline Zoe-Zareefa-Arts's ref sheet when it follows the rules of shading and drawn background is just wrong in my opinion. Sorry guys, but I think you can do better than this.